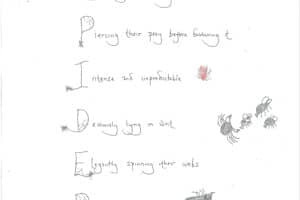 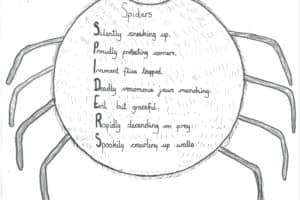 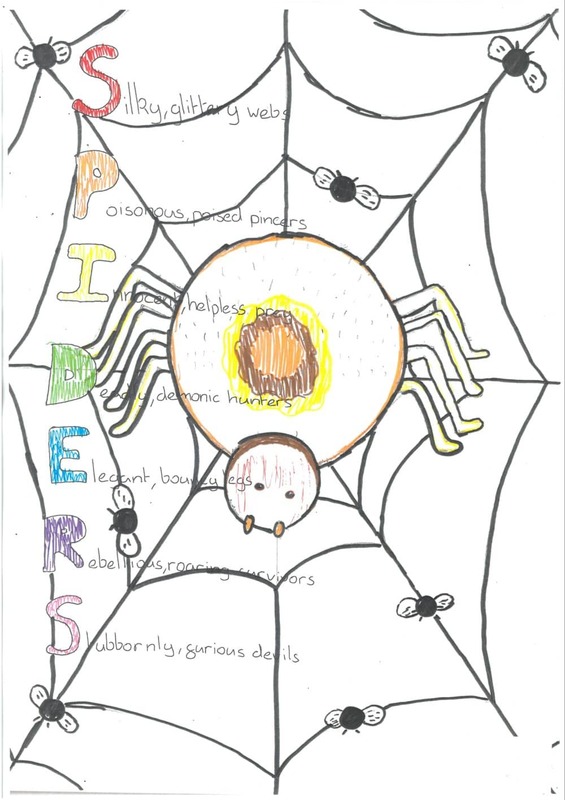 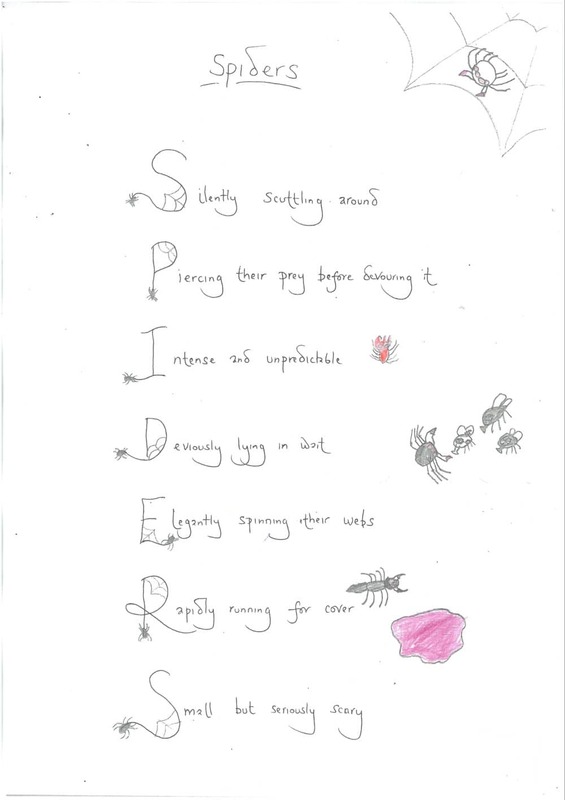 Examples of collaborative ‘Spider’ acrostic poems. 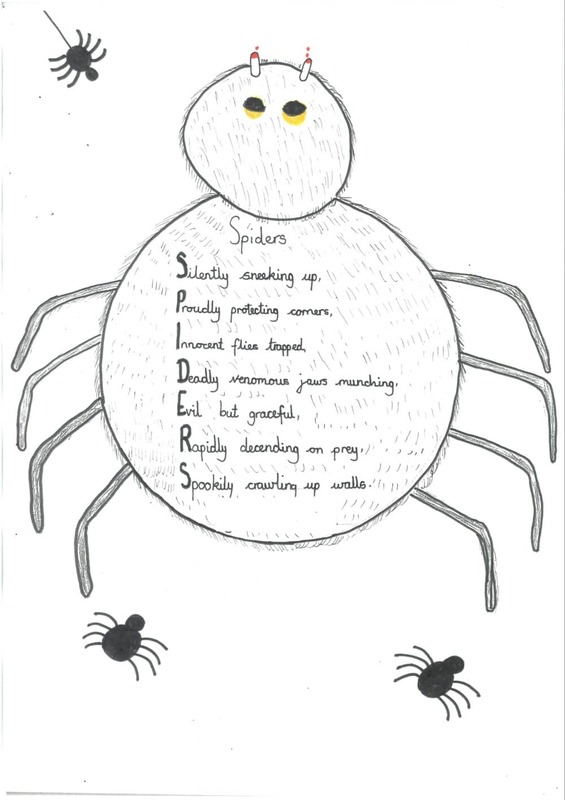 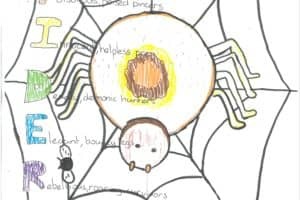 This activity was a follow up to a non-fiction comprehension task about Spiders. 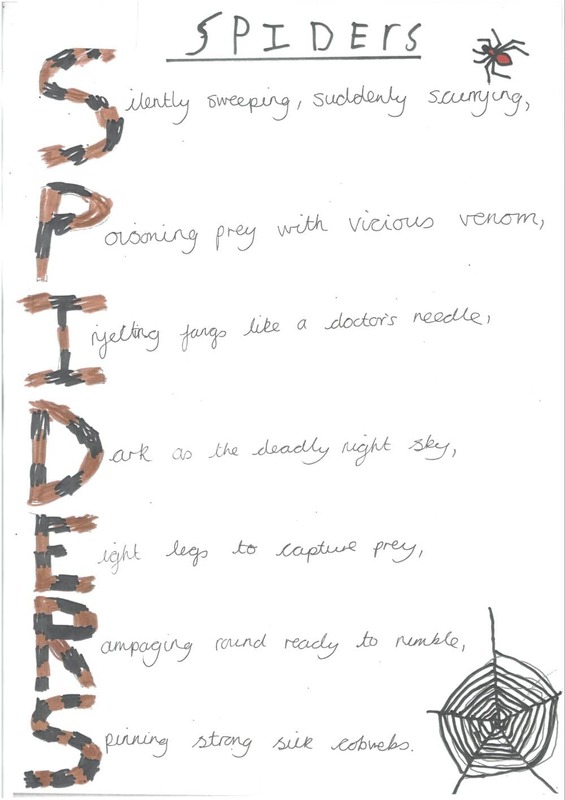 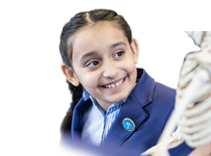 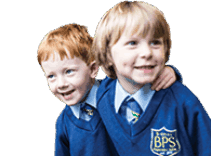 The children were encouraged to write short, snappy lines with adventurous vocabulary choices. 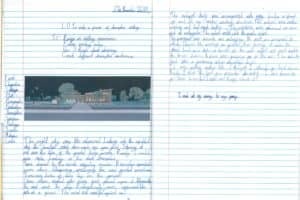 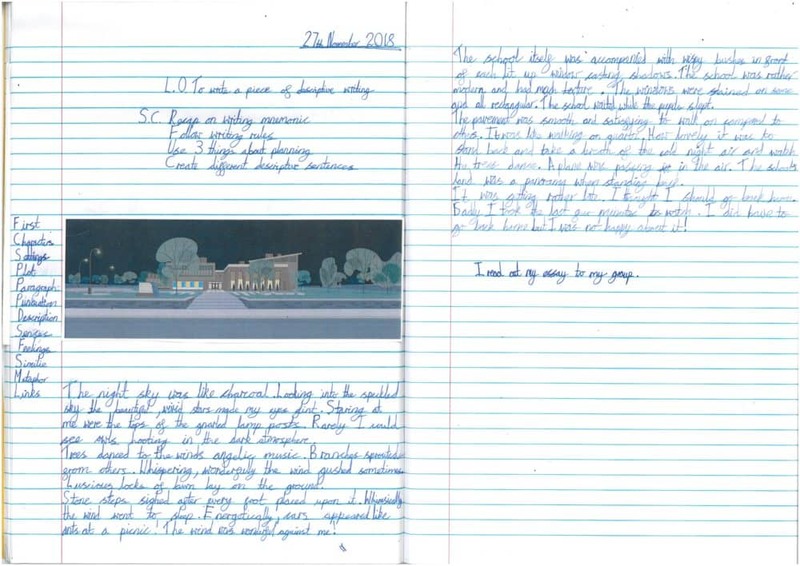 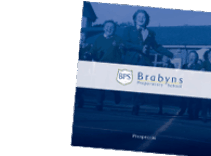 The ‘School at Night’ essay was an exam preparation task, written independently in only 25 minutes, in preparation for the entrance exams after Christmas. 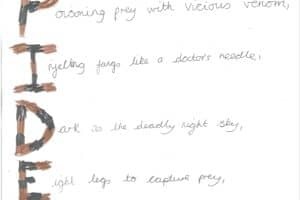 Note the use of the narrative writing checklist in the margin.